Helping you find investment properties at wholesale price 30% to 50% under market value! Did you order a copy of our book yet? 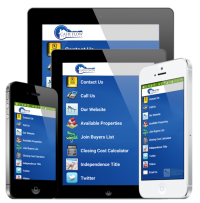 Download the Cash Flow Mobile App and get deals faster! Why invest in Real Estate? See this video. Camilo and his team and his beautiful baby make things happen. They are great team players and easy to work with to get the property closed. Camilo is one of the best professionals I know. Working with him has been a great experience. He is very goal oriented and organized. I will definitely recommend Camilo if you are looking to buy a property. He made it happen for us and now we are enjoying our dream house. Thank you Camilo. Camilo is great to work with and very professional. He's always following up to make sure everybody is on the same page. Very detail oriented when it comes to meet the deadlines. I'll look forward in doing business again with him in the future. It was an absolute pleasure working with Camilo. From beginning to end he was very attentive and always answered his calls/texts/emails in a timely manner. Very professional, I definitely look forward to working with him again in the future. Camilo, gracias por tu profesionalismo y tu apoyo en el cierre del duplex con mi cliente. Es muy importante confiar y tu siempre fuiste muy colaborador y sincero. Yo volvere a hacer negocios con ustedes y son muy confiables. We just closed our first deal with Cash Flow Properties and it was a great pleasure working with Camilo. He was very responsive and closed very quickly with no issues. It is very helpful to work with people that cooperate and work together towards the same goal. Thank you for a great experience! We look forward to closing many more deals together! Thank you! I recently closed a property with Camilo and his company. The entire process, start to finish, was great. Camilo was very accommodating, responsive and trustworthy. Simply put - he did what he said he would do! He was easy to communicate with and I look forward to working with him in the future. Cash Flow Properties has helped me grow both economically and professionally in the past few years. Camilo has helped me increase my knowledge in the real estate business as well as make great deals by teaching me how and where to invest my money wisely. What I have learned about investing my money in this business has been life changing. I've had the opportunity of doing different businesses and also different deals with him; and I can tell that he puts everything in what he does and lives with passion and purpose. I started my real estate business without having to invest much money and really knowing nothing about it, but with his help I was able to make $5,000 on my first deal, and the rest is history. Cash Flow Properties Academy is the greatest tool I could have as I delve deeper into the real estate investing world. What I have learned about investing in real estate has been invaluable. Camilo and Michelle are so passionate about what they do and it rubs off on their clients! I have been able to make multiple wholesale deals since I started working with them. I know that they are always there to answer any questions or provide great strategies to help me succeed. I look forward to having a long relationship with Cash Flow Properties Academy as I continue to move forward and try new things in real estate investing. I met Camilo earlier this year and have conducted multiple transactions with Cash Flow Properties. Camilo has been an absolute pleasure to work with. He's very knowledgeable about the market and on how to structure "win-win" deals that work for all parties. He's a professional that's always been true to his word. I highly recommend him to anyone who's looking to purchase an investment property here in South Florida. Real Estate Investor / Pinnacle REI Inc.
Accommodating, organized and pleasant is why I choose to do business with Cash Flow Properties. We have been working with Camilo Palacio & Cash Flow since 2011. Camilo is always professional and friendly, dealing with him has been an amazing experience. The level of communication and enthusiasm surpasses my expectation in every experience I have with him and his company. I would highly recommend him to associates or friends and family looking to get involved in the Real Estate Investment Industry. I enjoy working with Cash Flow Properties because of their knowledge in the real estate arena. This makes my job much easier and allows me to focus on the areas that they rely upon me most to handle in the transaction. My results working with Cash Flow Properties is always a positive result in that we close our escrows and have earned trust in the real estate community. Of course, Cash Flow increased my company’s revenues year after year and this is a plus for us. Communicating with Cash Flow was always on time and efficient which is essential in this industry. Time is of the essence and much pressure can arise when communication becomes a difficult between the parties. I would absolutely recommend to my personal family and friends to review properties that Cash Flow has for sale and would trust their services. I wish to thank Camilo Palacio and Cash Flow Properties for many years of business. I’ve been working with Camilo Palacio and Cash Flow Properties since 2009. As a title agent, I have helped Cash Flow Properties close hundreds of transactions through these years. Camilo has been an absolute pleasure to work with. He's very knowledgeable about the business and is always making sure he brings the most value to his clients. He is very honest, transparent, accountable and would only make a deal if it is a "win-win" situation that work for all parties. He's a true professional. I highly recommend him to anyone who's looking to purchase an investment property here in South Florida. We have been working with Camilo and Cash Flow Properties for about a year. Camilo is a pleasure to work with and his expertise in the business has made it easy to work together. He is always accessible and available when needed. I highly recommend anyone to work with Cash Flow Properties. We have been working together on numerous real estate deals for the past 3 years. The experience has always been both professional and profitable. Your knowledge in real estate and property investment has always been valuable. With 2016 on the horizon I am excited to continue to grow our business together. It is very refreshing to work with someone that understands the complexity of the real estate business and able to communicate effectively. Let’s keep closing deals! 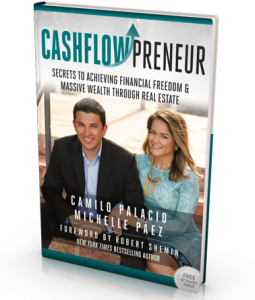 I've been working with Camilo and Cash Flow Properties since I first started my real estate investing career. I have used both exit strategies (rehabs and rentals) but over the last couple of years my focus has been Buy-fix -rent. All my properties have been purchased under market value. Working with them eliminates the hassle and time it takes to get an offer accepted. I have been working with Camilo for the past 5 years and I highly recommend it. It is fast and easy and with my busy schedule that is exactly what I need. We've had a good communication throughout our closing process on each deal. It is a great company to do business with. I highly recommend anybody looking for discounted properties in South Florida to work with Cash Flow Properties. Camilo and I have been doing business together over the past 5 years. My experience has always been good working with Camilo. We have closed multiple real estate transactions together. Camilo is easy to communicate with, he returns calls and emails in a timely manner and is always available when needed. I would recommend Cash Flow Properties to my friends and family. I look forward to working with Camilo again soon and value our business relationship. 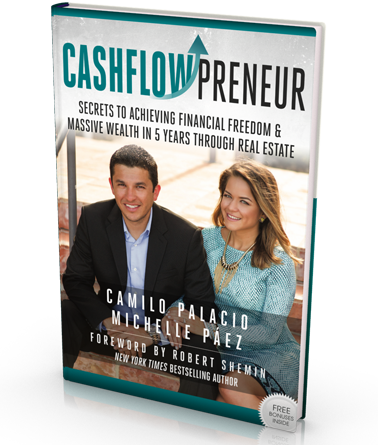 I have been working with Camilo at Cash Flow Properties for about 3 years now. Camilo has always conducted himself with the highest level of integrity. He was able to constructively work with us in order to have a positive outcome, in every transaction that we have worked together. Camilo always makes it a priority to have the best communication possible in every transaction. He understands that communication is the key to every good business relationship, and goes the extra mile to make sure that everything is running smoothly. I would absolutely recommend Camilo to all of my friends and family, with no hesitation. I've been doing business with Camilo and his team for 3+ years. Cash Flow respects their clients and goes to battle for them. It is very important in this business due to the nature of the product and all the details that have to be taken care of before committing to a property and moving forward with it. Our communication been while working together has been timely and precise. I have recommended their service to friends and family several occasions. I admire all business men/women that stand behind what they sell and commit to long term relationships versus quick profits, this is why I continue to do business with Cash Flow Properties. Camilo and I have been working together since the very beginning of his real estate career. In fact, I sold him his first two houses. He rehabbed those two, made a profit and was off and running. He soon got into my end of the business of wholesaling where his business really took off. We have done many, many deals together in the past five years. These are deals that are done on a handshake out of the mutual respect built up between us through the years. Would I recommend Camilo and Cash Flow Properties, LLC. to others? For sure. Whether it is to put a deal together, to be coached, it will be a win win for everyone. We at Independence Title have been closing real estate transactions for Camilo and his team for over 5+ years. Our experience in dealing with Camilo and his clients goes very well. When it comes time to close on a real estate transaction in Florida we enjoy working with Camilo and his team to make sure his clients investments are well protected from liens and judgments. Communication is key when working with our company as we need to make sure all parties are always made aware of the good and the bad throughout the process. So having Camilo on our team making sure his clients are always well informed is very important to our overall success. I would recommend Camilo and his team to friends, family and business associates when they are thinking about investing in South Florida Real Estate. Best-Selling Author, SOLD! / Founder & CEO Independence Title, Inc.